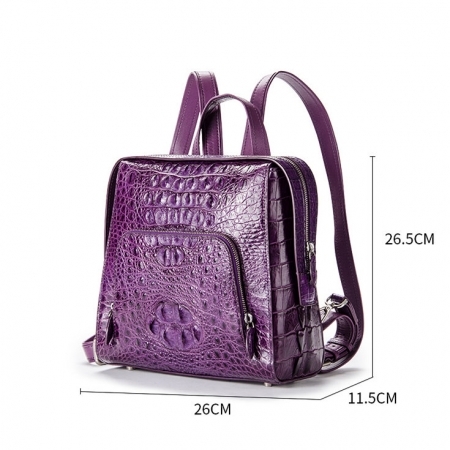 This is a made-to-order product. 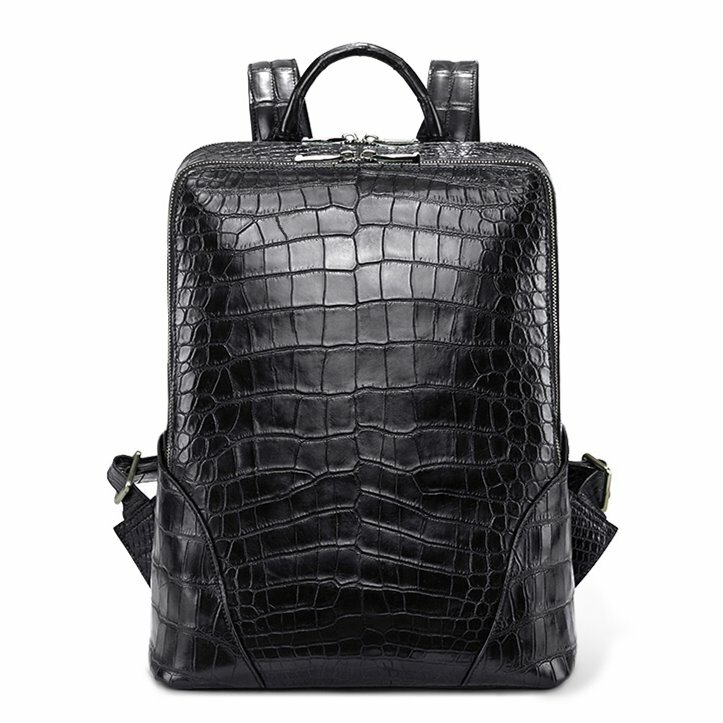 Please allow 20 days for the delivery.
. Closure: Flap opening, Press stud and drawstring closure.
. Backpack straps are able to adjusted length freely, this bag may do four uses: laptop backpack, bookbag, travel bag, casual bag.
. Every alligator leather backpack is unique because it is made from the original alligator leather, not from the embossing pattern cow leather. 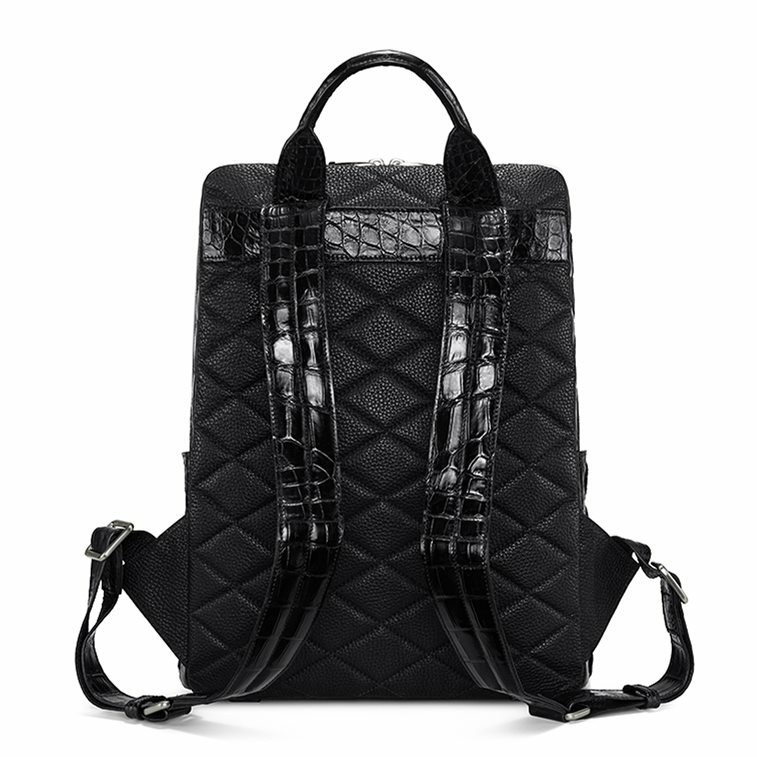 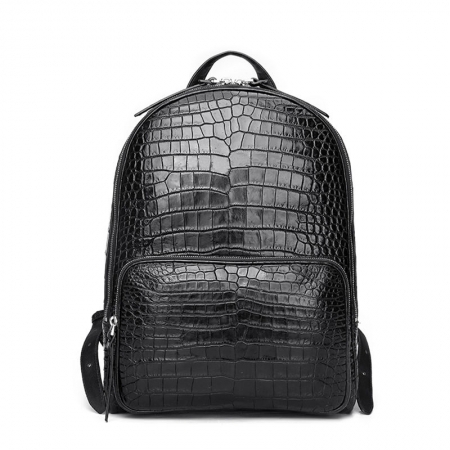 This daily backpack makes you so unique and stylish every day not only on the way to your company but also carry out for a journey. It comes with two compartments that offer enough space to keep your belongings organized, while the zip closure promises safety to your stuff. 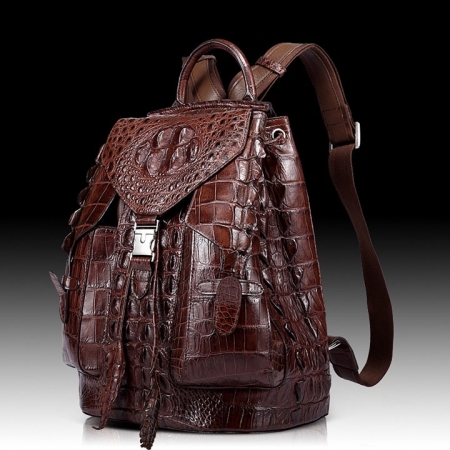 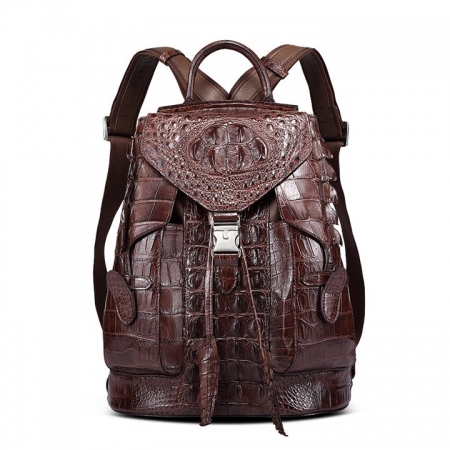 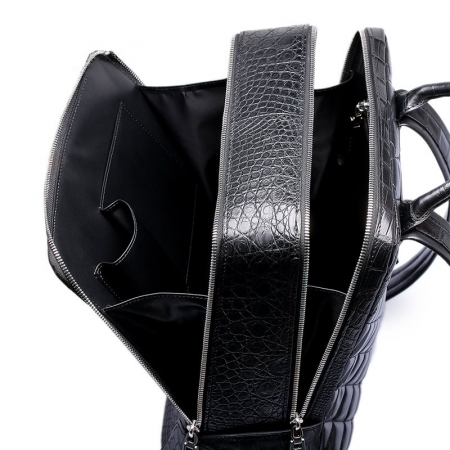 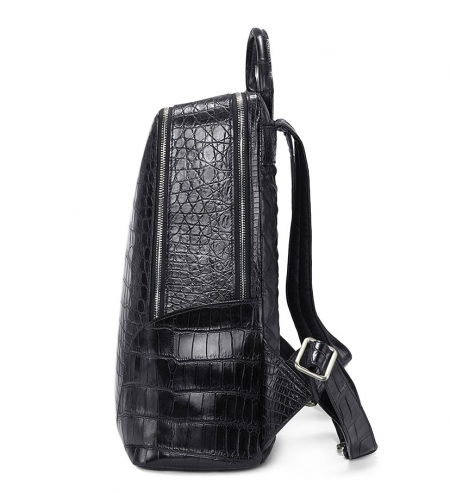 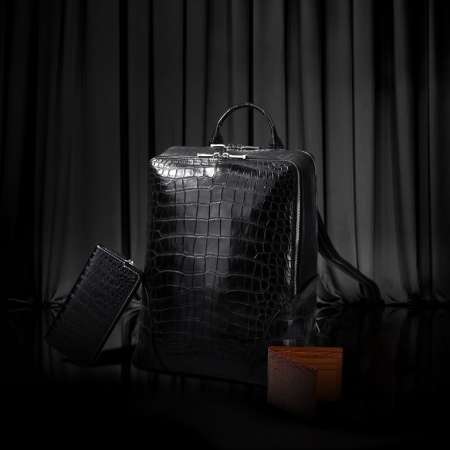 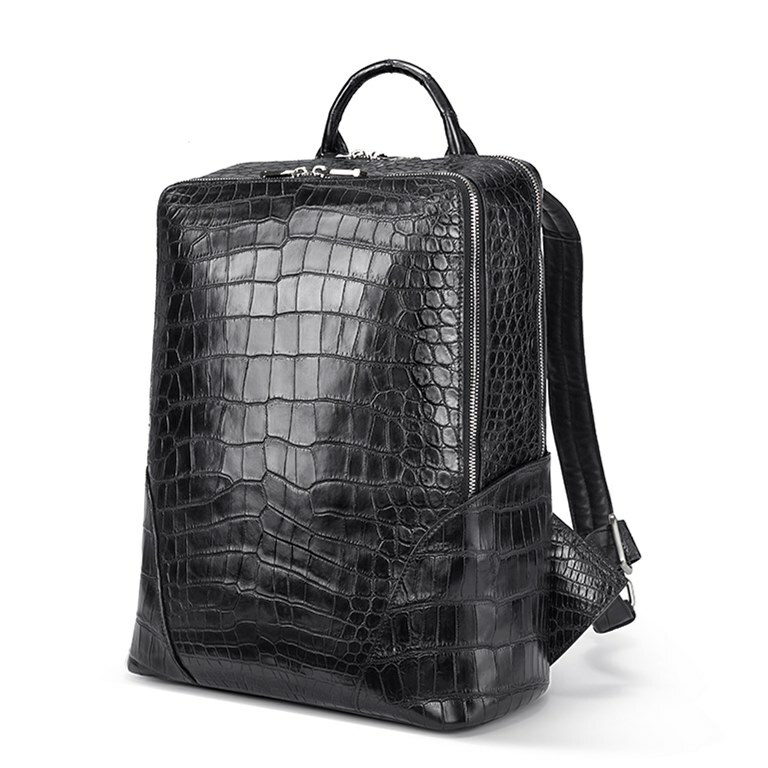 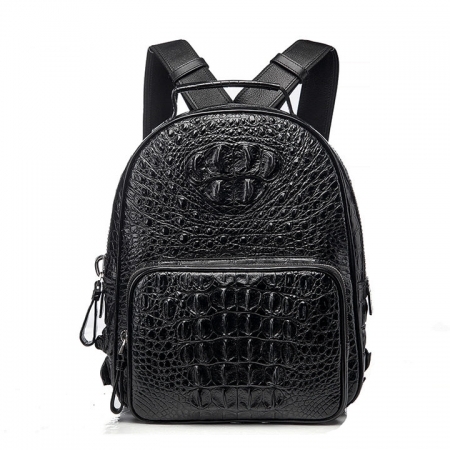 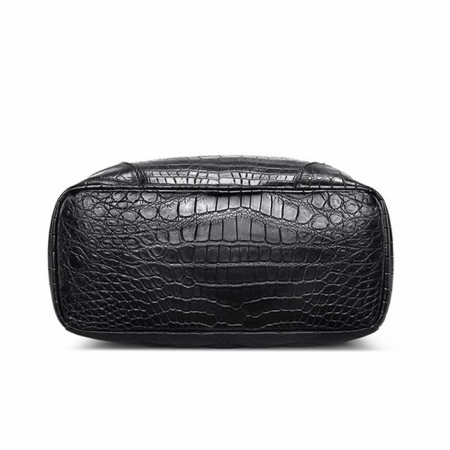 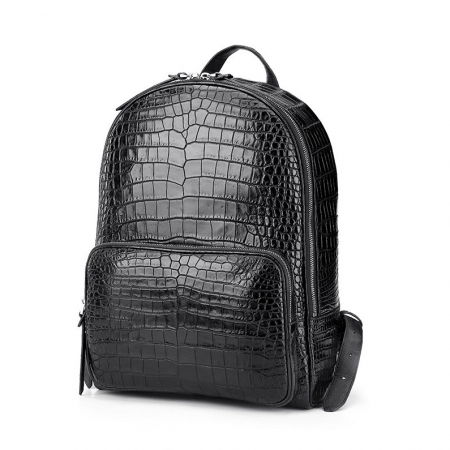 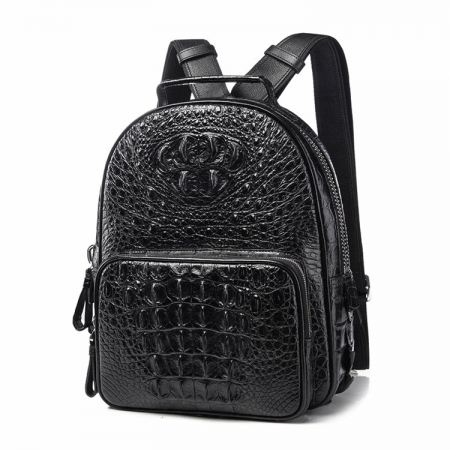 Besides, it has been crafted from fine quality alligator leather so as to retain its quality for years to come.